There is a controversial theory shared by scholars which suggests that technological progress is inevitable. Had Steve Jobs and Apple not created the iPhone, the theory suggests, then someone else would have eventually stepped in to create something similar. Ralph Baer, who passed away on Saturday aged 92, created the world’s first home games console. I confess it is tempting to believe that interactive video games, as a concept, would have still existed had it not been for Baer and his Magnavox Odyssey, which shipped in 1972. Yet I find the uncertainty of Baer’s influence to be, in a perversely paradoxical manner, a fitting tribute for any pioneer. He, like all geniuses, had an idea so simple and brilliant that it seems obvious now. Baer, a lifelong inventor, was born into a Jewish family in Germany, 1922. He fled to New York in 1938, during Hitler’s chancellorship of Germany, and settled in the Bronx. One week later he would work in a factory that made leather cases for manicure kits. “He soon invented a machine to speed the process by stitching five or six at once,” writes The New York Times. But later in life the eccentric inventor became possessed by the idea of a television with game playing capabilities, and was given $2,500 by his employer at Loral Electronics to research and develop the concept. Though it was first conceived in 1966, several years passed before the system was eventually licensed to electronics company Magnavox, which shipped the console in 1972. Few creative industries can trace their line of origin with such certainty, but this moment is widely regarded as the first time televisions became playable, transforming their mundane black-and-white displays into miraculous boxes filled with impossible worlds and fantastical challenges. It was a games console that pre-dated the Pong arcade cabinet by several months, but ultimately lived in Atari’s shadow, having only sold about 300,000 units by 1974. Baer would later blame such the modest commercial response on retailers charging about $100 for each unit, as opposed to the $20 that was first suggested. Despite the Odyssey not achieving mainstream popularity the way Atari’s home consoles had, in February 2006 Baer’s influence was honoured with a National Medal of Technology. President George W. Bush, who presented him the medal, awarded it for “his groundbreaking and pioneering creation, development and commercialisation of interactive video games”. The games industry has for decades defined itself as young and progressive–words sometimes used as an excuse for its mistakes and teething issues. But interactive entertainment has ballooned into a multi-billion dollar empire that stretches across countries and continents. Games have crept into smartphones and social networks and smart TVs, and now rival Hollywood in terms of money, relevance, and talent. 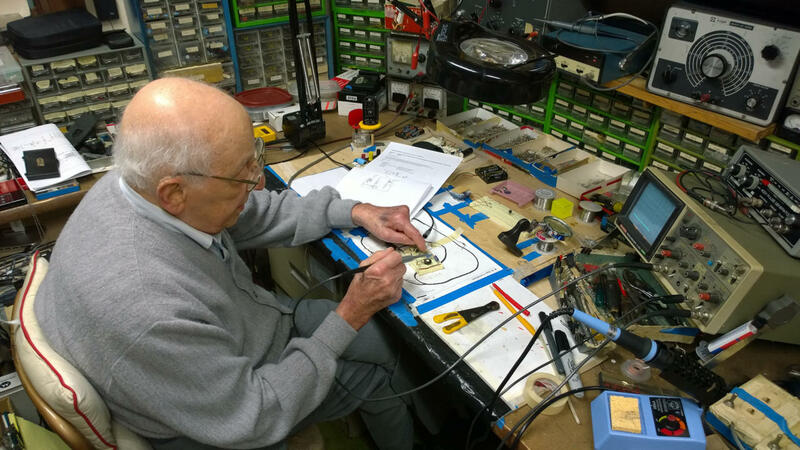 Ralph Baer is referred to as “the father of video games,” and lived to see his creation grow up.